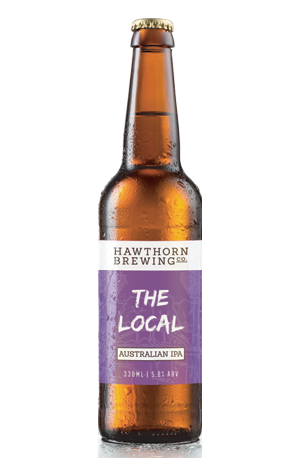 Hawthorn's original Australian IPA was one of the first such beers released on these shores, making use of a quartet of Tasmanian grown varieties to deliver a fruity, juicy hop hit. And, while the new look version – The Local that debuted late in 2018 – is built upon a new malt backbone and has switched up the hops as well as when they're added during the brewing process, it's the beer that's least changed when it comes to the drinking. There's a fruit punch in which the flavours and aromas of the hops bleed into one another, while there's a reasonable amount of biscuity, caramel malt at play, keeping the bitterness and, thus, the drinkability closer to pale ale than IPA territory.